Want to add some sparkle to your holiday table? We’ve been seeing layered table looks everywhere and decided to give chargers a try with chalkboard paint and a gold laurel design. The secret weapon of this project is the gold leaf pen. 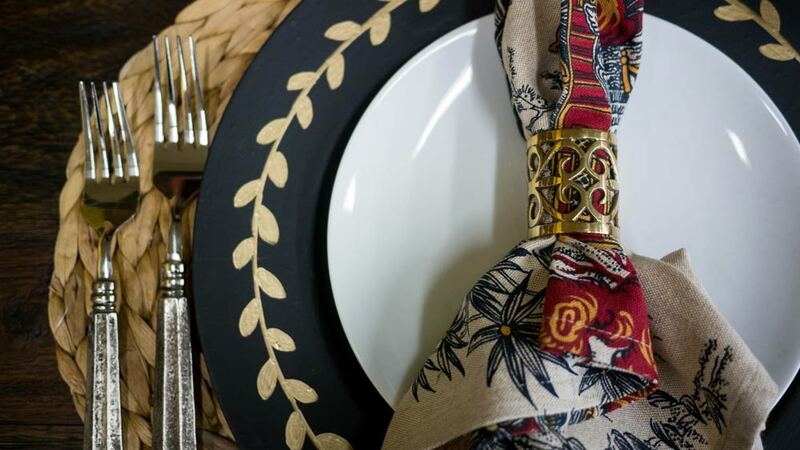 How to Decorate for Thanksgiving Guests!